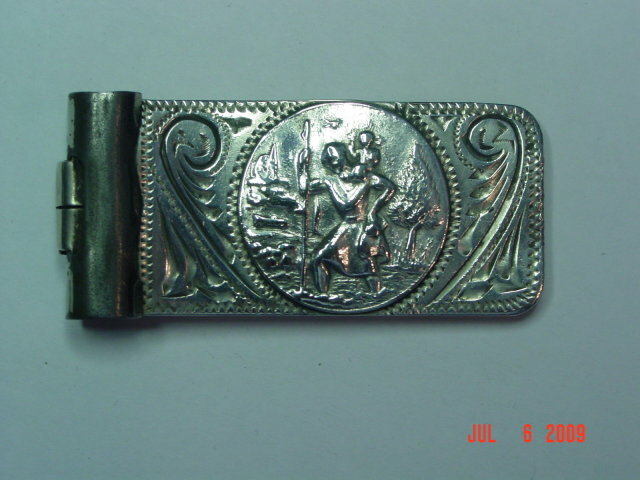 Sterling silver money clip with a medalion mounted on top showing an old man with his walking stick and what looks like a young child on his back. It is edged in scrollwork. The clip portion is made out of steel, obviously not stainless. It has a crown mark on the back with PLATA0925 and a partial stamp GUADME (which presumably stands for Guadaljara Mexico). 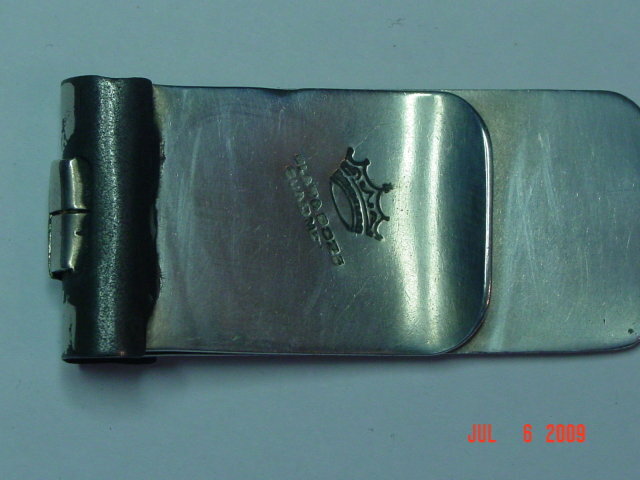 This money clip is in very good condition. 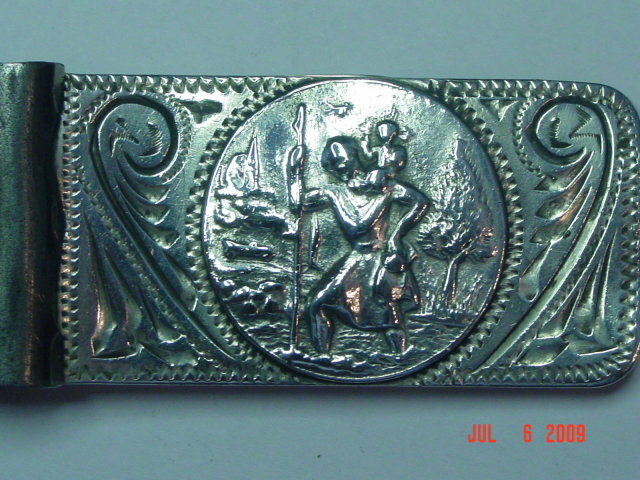 Items Similar To "Mexico Sterling Medalion Money Clip"